As a standard part of the visa process, the State Department is now requiring that consular officers interview almost every applicant. 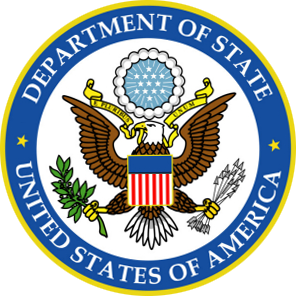 Some consulates may have a long wait for an interview so applicants should contact the consulate to schedule an interview as early as possible. Furthermore, many visa applications are sent to the State Department in Washington, D.C. to be reviewed by several agencies. Because of the number of visa applications and the need for thorough security reviews, the process can take several months. Therefore, it is advisable for travelers to apply for their visas as early as possible (at least three to four months before the visa is needed). Contact the nearest U.S. consulate or embassy in your country for details on visa application procedures at that post. To obtain an Official Letter of Invitation for your visa process, please complete the form below. Make sure to enter all information as it appears on your passport. Register as a Conference Delegate and payment must be received prior to requesting a visa letter. Exhibit Hall Only or Workshop Only registrations DO NOT qualify for letters of invitation. Email requests must originate from a recognized company email address. If you have questions or need further assistance, please email Cassie Davie.